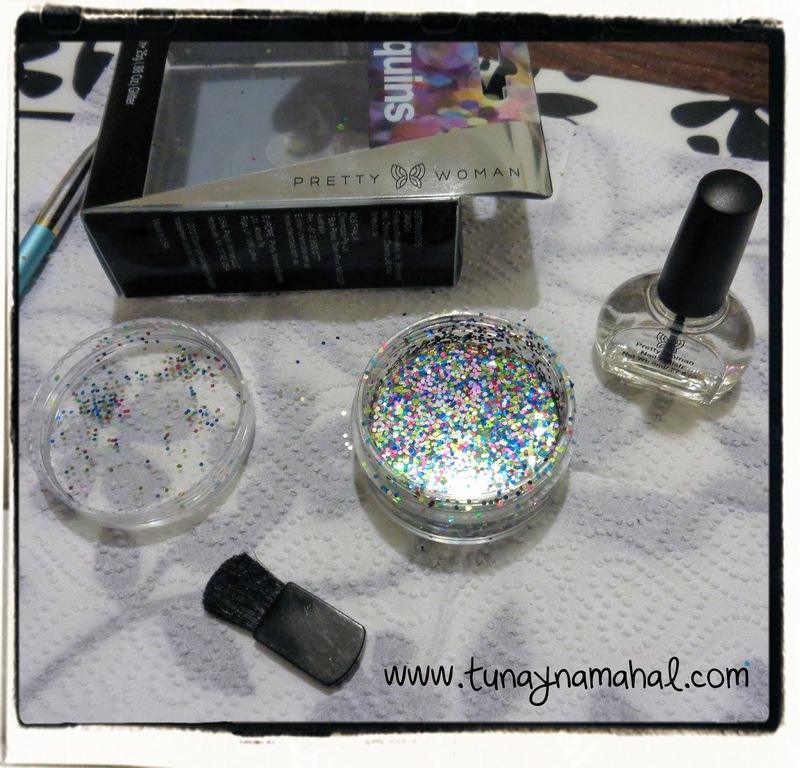 Pretty Woman: Sequin Nail Art Kit. 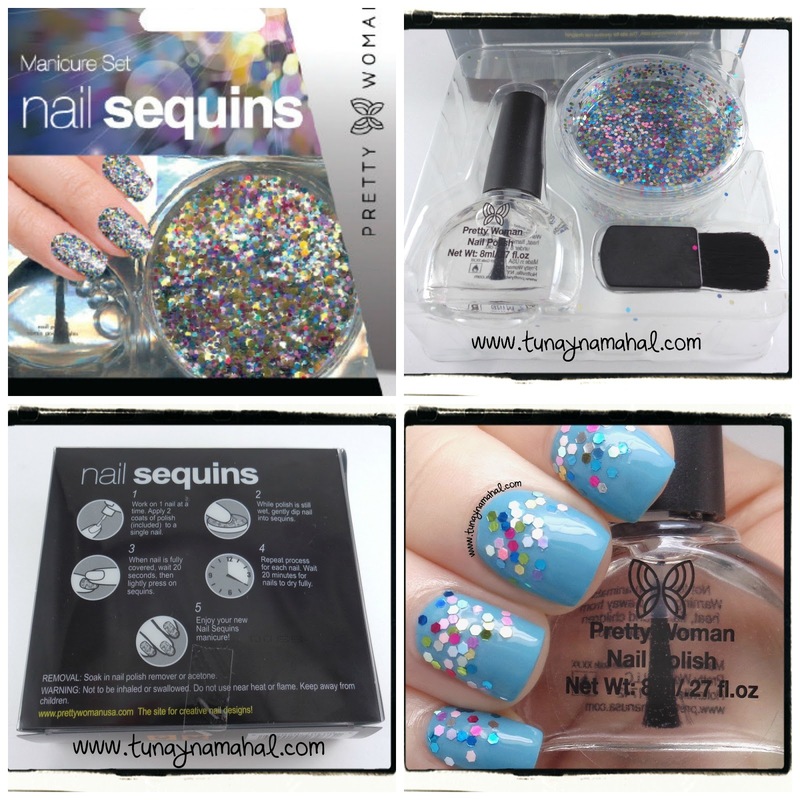 Pretty Women brand recently sent me this sequin glitter kit to share with you all. 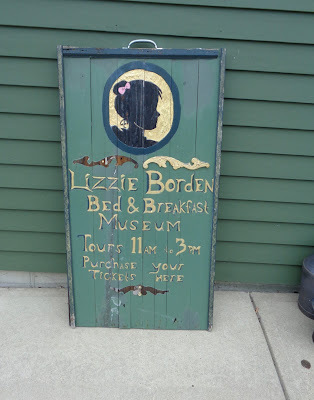 This is a new to me brand. They offer nail lacquers, nail strips, and nail art kits. They may also send me some nail lacquers soon to review for you all too. When I first received the package the sequins had leaked out of the kit during shipping, boo... so they went everywhere when I opened the package. :-( The sequins stick to everything (static cling), so be careful when working with them. I think I'm going to be finding sequins in my dining room until next Christmas, lol. I wanted to do something more subtle with this kit. So I decided on a glitter sequin gradient, instead of dipping my entire nail in. It's up to you how you decide to use the kit. To minimize the sequins getting all over I put a napkin down over my work space. I started with two coats of OPI Can't Find My Czechbook, and one coat of Seche Vite topcoat. Then I used the Pretty Woman clear coat- but I just applied it where I wanted my gradient to be. I let it dry a few seconds until it was tacky but not wet. 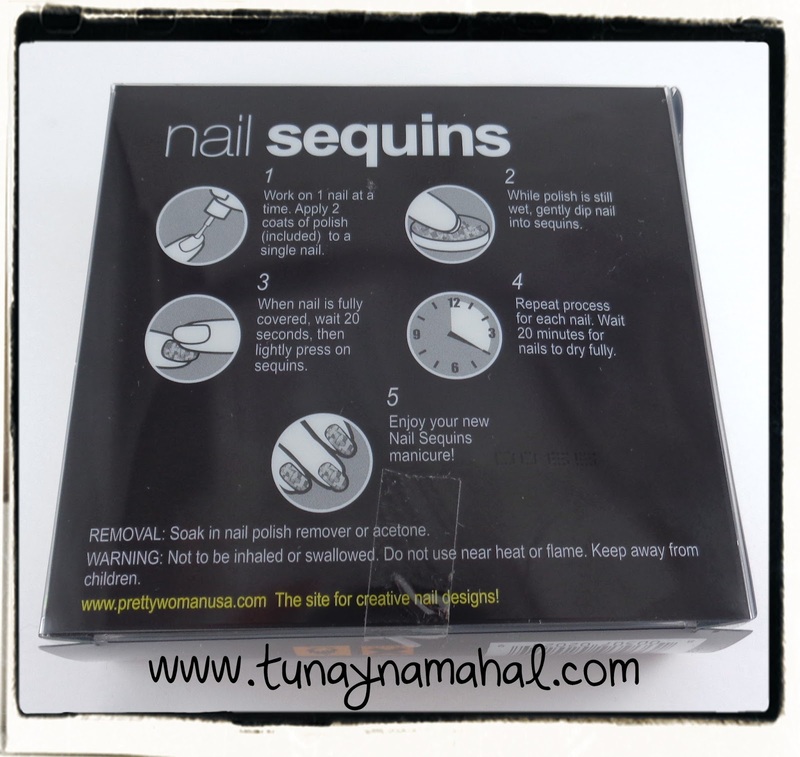 You can find the nail art kits they have for sale on their website here. The kits retail for $7.99. You can also find Pretty Woman Brand on Facebook, Twitter, and Instagram.